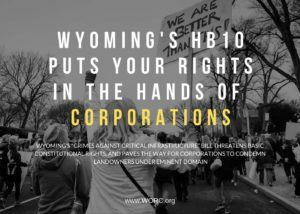 WORC and its first member groups were founded by ranch families whose land and livelihoods were threatened by the booming coal industry in the 1970s, when dozens of coal strip mines and power plants were proposed across the Northern Great Plains. We have been at the forefront of shaping coal-related policies ever since, limiting the scale of mine expansion and damage to land and water, and protecting the interests of taxpayers and communities. Today, as the coal industry contracts, WORC is holding coal companies accountable while working to ensure that coal workers are respected and supported. We’re also fighting to ensure that rural coalfield communities have the resources they need to grow and diversify their economies, that companies put people to work reclaiming mines and remediating damage to land and water, and that we embrace an economy of shared prosperity in the West that benefits workers, rural communities, and Native peoples. WATER: Coal mining jeopardizes water quantity and quality in the semi-arid West, where agriculture and wildlife depend on scarce water resources. 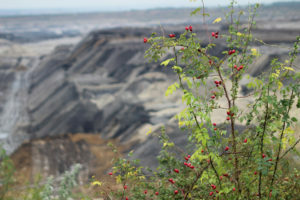 AIR: Pollution from burning coal threatens public health and accelerates global climate change. LAND: Over 450 square miles of agricultural land in Colorado, Montana, North Dakota and Wyoming have been mined, but only 10% of mined land has been completely reclaimed. COMMUNITIES: Recently, coal companies have proposed to build export terminals on the West Coast, necessitating enormous increases in coal train traffic through cities from Wyoming to the Pacific, threatening public health and safety, and wearing out public infrastructure, all in order to profit a handful of private companies. TAXPAYERS: For years, the federal government has subsidized the Western coal industry by leasing publicly-owned coal far below market rates, costing American taxpayers tens of millions of dollars every year. Lobby Congress and federal agencies to pass policies that make the industry pay its fair share for public resources and that hold mining companies accountable for damage to land, water and public health. Reform the federal coal leasing program to recognize the contracting coal market, address federal coal’s contribution to climate change, provide a fair return to taxpayers, incentivize reclamation, and provide economic support and planning for coalfield communities. In recent years, the coal industry has struggled to compete in the domestic energy market. Cheaper, cleaner energy sources such as natural gas and renewable energy are reducing coal’s market share. Coal has gone from producing roughly half of the country’s electricity in 2011 to less than one third in 2016. As the coal mining and burning industry contracts, rural coal-producing communities in the West are set to undergo a difficult economic transition. WORC remains deeply committed to the coalfield communities where we first formed, and we are actively working to bring about an economic future for the West that values clean air and water, meaningful work, shared prosperity, and a robust democracy. Support economic development projects that take advantage of the resources of the rural West, such as clean energy development and regional food systems. Work with local and state political leaders and economic development agencies to help communities plan for changes, and provide resources where they are needed. Focus on clean-up as a job creator, including reclamation and the creative reuse of industrial facilities as a way to create jobs, restore the land and water, and honor the legacy of the past. 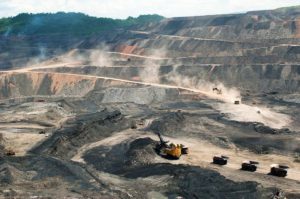 Heal the land: push companies to reclaim more of the mined-out land across the coalfields, end self-bonding to ensure an economic incentive, and pass the federal RECLAIM Act to clean up legacy pollution from abandoned coal mines. Advocate that workers are treated fairly: Fairness to workers is critical in the short and long term. In addition to energy and climate and food system goals, we need to have employment goals that achieve good paying, local jobs that provide opportunities where possible for workers to stay in their communities. Reform the federal coal leasing program to leverage resources and planning for coalfield communities as they recover and adapt. As a member-led, community-based organization, we know that how we get where we are going is as important as where we end up. Every community presents a different set of problems and challenges, which means that there is not a one size fits all solution that will lead us to a new economy based on homegrown prosperity. We believe that many small efforts across our region and the nation will work better than one silver bullet solution.